David “Spanky” Wayne Hayes, age 65, of Carthage, passed away on Thursday, August 23, 2018 at his home, surrounded by his family. A Celebration of Life will be held Monday, August 27, 2018 at 4:30 p.m. at New Covenant Church in Carthage with Pastor Lee McKinney officiating. The family will receive friends immediately following the service at the church. Spanky was born in Cumberland County on August 7, 1953 to Erfie David and Virginia Loue Hayes. He spent his working career as an automobile salesman.He was a loving son, husband, father, brother, uncle, grandfather and friend. He will be truly missed. He is survived by his Mother, Virginia Loue Cook Hayes; wife, Debra Hayes; children, Waylon Cook (Mary Ann) and Melissa Wilkes (Tommy), Terri Hayes and Crystal Hayes; brothers, Harold Hayes (Samara), Gerald Hayes (Ann), Tony Hayes (Debbie); grandchildren, Jared, Kayleigh, Kaleb, Luke, Danielle, Sabrina and Matthew; great-grandchild, Dylan. He was preceded in death by his father, Erfie David Hayes. 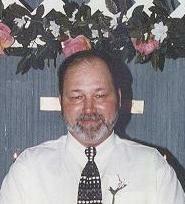 In lieu of flowers, donations may be made to New Convenant Church, 1305 Hulsey Road, Carthage, NC 28327.